Those Candidates who have successfully conducted their Gujarat Police Constable Exam So, they all have to check their result whether they get passed or not. Those who get passed in Prelims they all have to appear for Gujarat Police Constable RecruitmentExam. Whole Selection Procedure is based on Written Examination and Personal Interview which is followed by Document Verification. 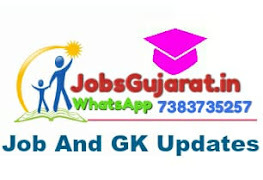 Selection Procedure is organized for those candidates who get passed in Gujarat Police Constable Exam. Official Site of Gujarat Police Holds the result of Constable as well as Category Wise Cut Off Marks.